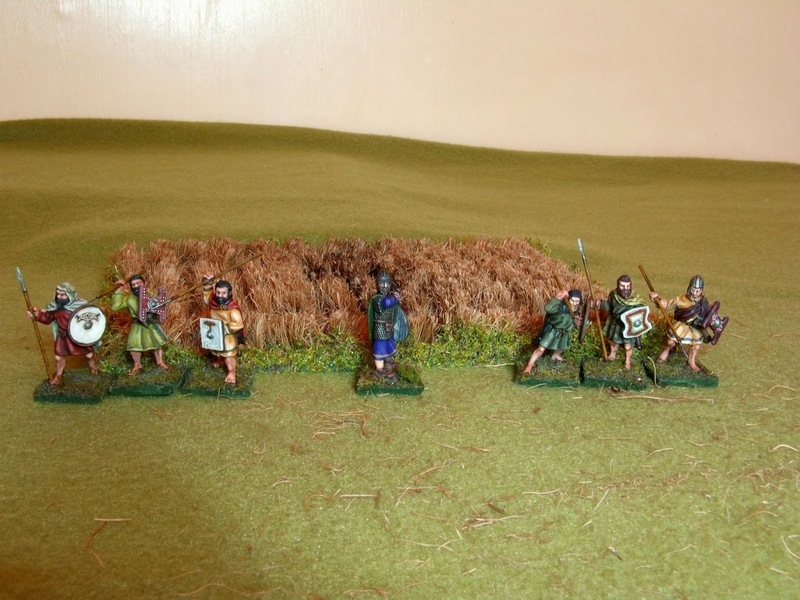 Mitch's Wargaming and Modelmaking: Fields of Crops, Quick and Cheap! 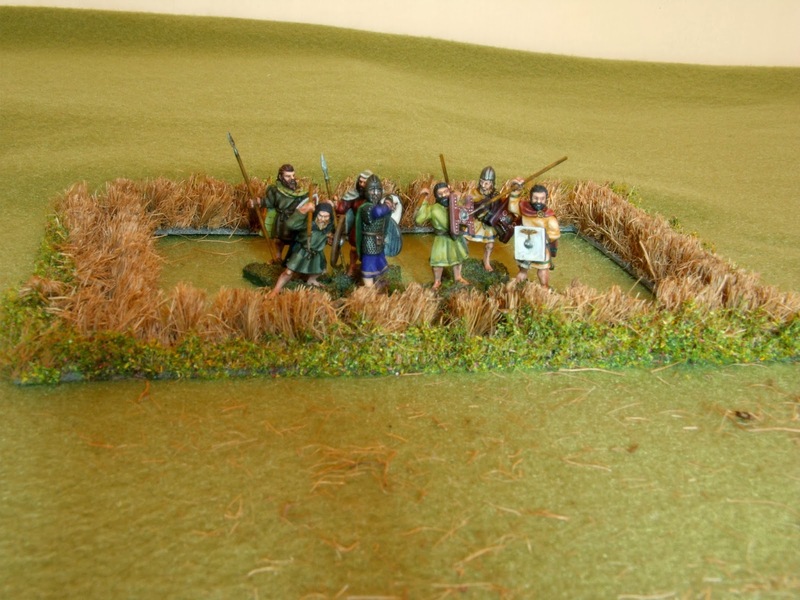 Want some very quick terrain? Try this. 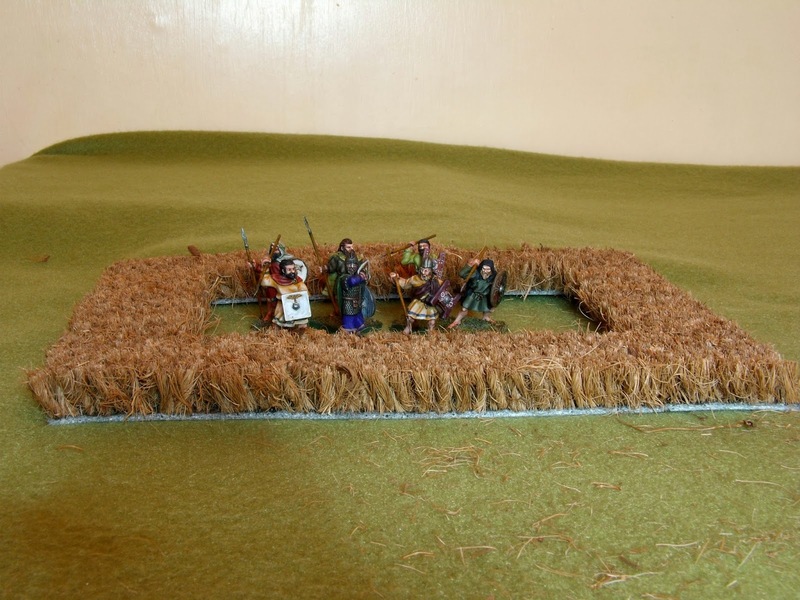 Get a coir fibre mat to represent growing crops (cereals, mostly). I bought a short pile (20mm) version from my local “if we don’t sell it, you probably don’t need it” farmers’ stores, for the princely cost of about four quid. Then you cut it into appropriately sized rectangles with a big knife. I suppose I should wipe my feet! 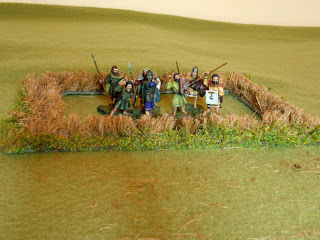 If you want a bit more, a simple variation is to cut out a section in the middle of the piece, so that it looks like any troops in the field are standing in the crops, not floating in mid air. A word of advice. Trim a piece off each side of the inner piece. That way it's easy to get in and out. 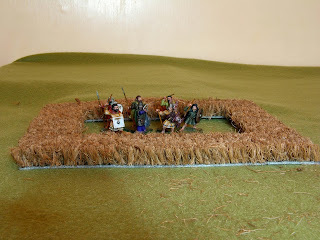 The off-cuts could be used to make narrow, but (in my opinion) totally unconvincing hedges. Dense enough to hide in - but is it realistic? 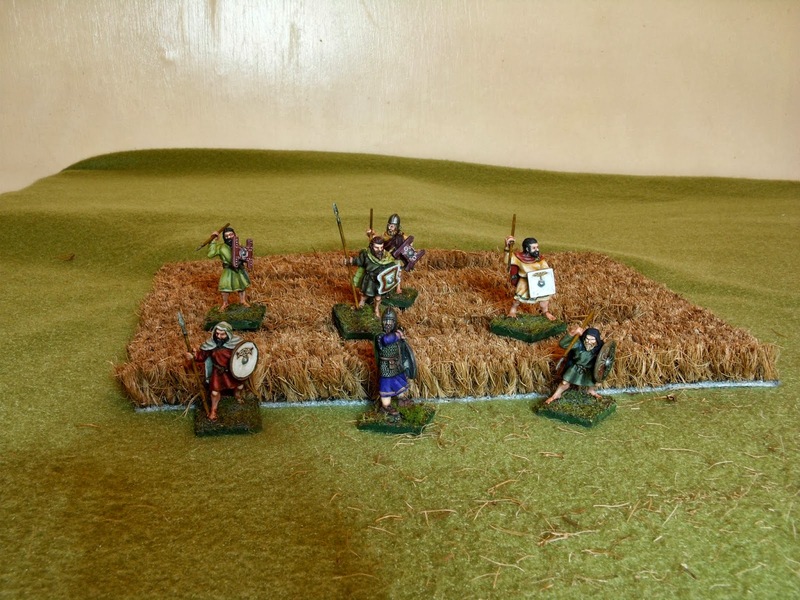 There’s a school of thought that says that coir matting doesn’t look like a cereal crop field, and I can see why, especially if you just do the above - cut off lumps of it and plop it down on the table. So, invest a fraction of the time it would take to make another terrain piece and ginger it up a bit! 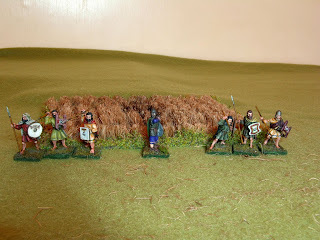 The colour tends to be a bit dark, but I’ve seen plenty of old, weathered barley crops that look that colour, and if it’s a big deal there’s always drybrushing. Another argument is that as it is, it’s too dense. I got around this by carefully setting my table saw to cut less than the depth of the pile of the mat, then running the section through to produce parallel rows of stalks. This took a long time, as the single-kerf blade took several passes to cut each row. Norm Abram’s stack head dado cutter would have done it in no time! Oh, and the mess it creates is breathtaking! 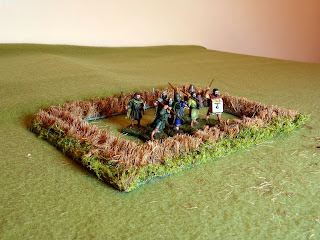 Then, trim it short around the edges, and add a bit of flock/static grass/clump foliage there, to represent the weedy bits on the headlands of fields. Lovely! Miles more authentic, this one! Here's the same piece, with the centre cut out. Take a stand in the middle of a field! Very nice. I may have to give this a go. Mitch like the idea I will use it for my american civil war. Thanks Furphy! The beauty of these is that they are applicable to more or less any period from the Neolithic to the present!